Looking to dominate your opponents with superb techniques like Tadahiro Nomura did in Atlanta? If you’re a Judo beginner and looking for the best throws to learn, keep on reading! 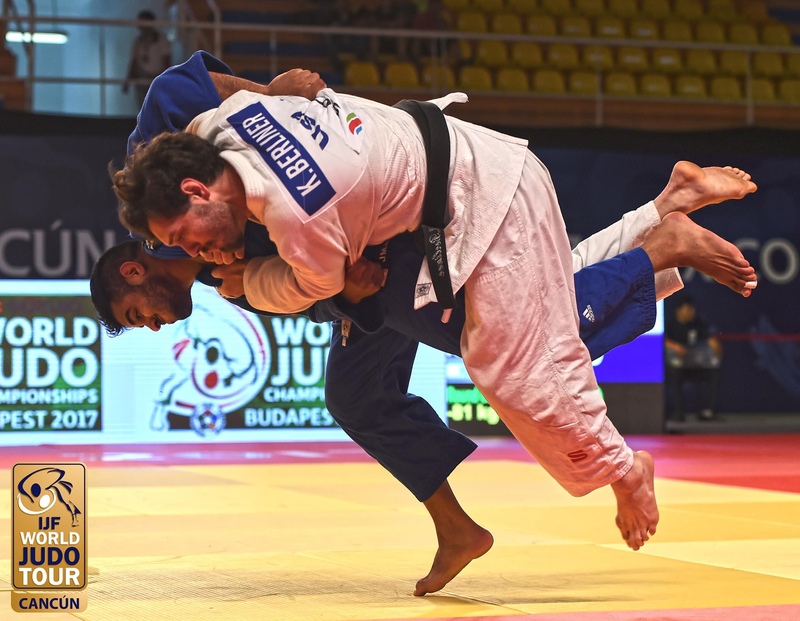 If you plan to become a serious judoka, good technique is a must – no matter how strong you are. You need to get to know Judo basics properly, starting from the basic throws. Judo is a combination of power, technique, and strength. You can perform 20 bench press repetitions with 250 pounds, but if an opponent is faster, if his technique is better, you will lose. Before explaining Judo basics, you need to learn two things. Tori is the person who performs the throw, and uke is the person who is being thrown. So with that, let’s take a look at the top ten basic Judo throws! Also known as floating hip, this is a type of the hip throw. 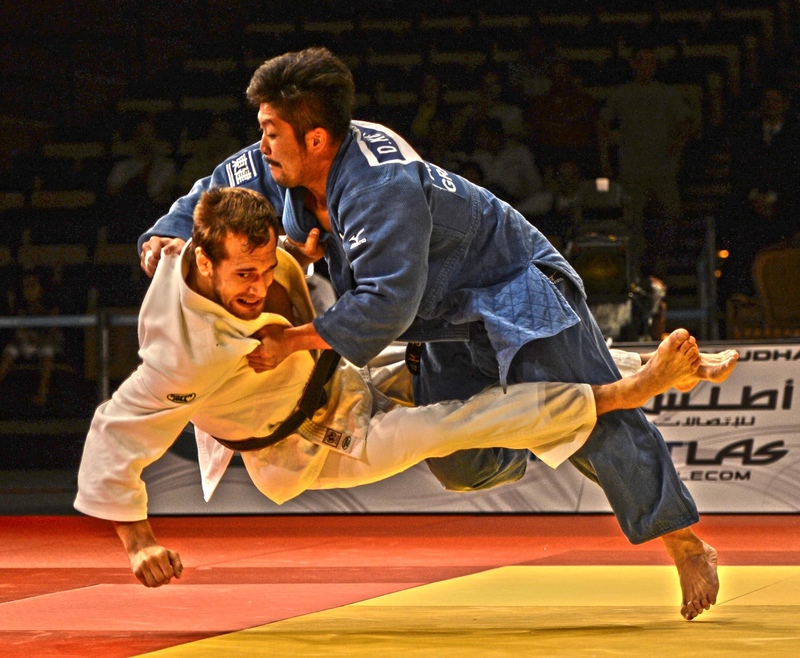 It is also one of most common throws used in Judo competitions. Initiate the contact with your opponent and catch his belt quickly. This throw is an excellent way to defeat a static opponent who uses strength before quickness and technique. Slide sideways and let your opponent slide over your hip. Don’t give your back completely or you can get countered. If you want to master the Judo basics, you should definitively learn this technique when uki goshi is done properly. The technique is also known as lifting hip throw. As a difference from uki goshi, you need to lift uke on your back and throw him on the ground. It is easier to grab uke’s belt over the top, stretching your right hand over his left shoulder. This will decrease the chances to get countered. Also known as shoulder throw, it is an amazing technique for beginners. It is extremely easy and applicable in almost any situation. It is one of the highest scoring techniques in competitions. Tori grips uke with two hands, which is completely opposite to ippon seoi nage, where only one hand remains gripping, while the other goes under uke’s armpit. Make sure you grip your opponent very quickly, or you can easily get countered by a choke. If your opponent is quick, he can react quickly and move sideways. This is risky but very attractive throw. Also known as a single back throw, this is an amazing technique which can finish the fight very quickly. It is an irreplaceable part of Judo basics and you can usually learn this in your first training session. You’d be interested to know that this particular technique brings many victories in competitions. One hand remains gripping, while other hand goes under the armpit of your opponent. You can improve the strength of the grip by pushing your biceps into the armpit of the opponent and rotating his right shoulder clockwise at the same time. Don’t be too far from your opponent and make sure to control his right hand with your both hands to prevent counters. This is one of the first throws ever invented. It is an excellent way to throw a heavier and harder opponent, especially if your opponent is taller than you. Also known as major or large outer reap, it requires quick timing and manipulation. It is an excellent way to crush the opponent if your center of gravity is lower. Make sure you step forward, place your right leg behind uke and rotate it counterclockwise extremely quickly, or you will get countered by osoto gaeshi. Curious to find out more about this particular move? Be sure to give ‘ Osoto gari: Not Exactly What It Seems’ a read! Kesa gatame is one of the mat holds, also known as side control hold. This is the first thing you should learn in the ground fighting. Kesa gatame is the easiest way to win your opponent if you are able to maintain this position for 20 seconds. Widespread your legs, push your shoulder down and rotate uke’s right arm counterclockwise to increase the strength of the grip. Also known as a full hip throw, this is a bit risky, but very effective way to end up a fight. Perform this throw quickly and effectively, place the right hand over uke’s belt, initiate the contact with his body and pull his arm. If your opponent ends up on his back, you will win the fight in a very attractive way. It is a great way to counter an off-balanced opponent who constantly tries to perform kubi nage. Also known as a hip wheel, this is a very easy throw to learn. The throw is mostly used if your opponent is a lot smaller than you. Place right hand behind the opponent’s neck and keep his neck tight to weaken the blood flow into his brain and decrease his chances to defend. You can apply more pressure by closing your armpits towards opponent’s chin and decreasing the distance between your biceps and forearms when grabbing his neck. Also known as neck throw, this is one of the easiest ways to defeat your opponent if you have longer arms. It is also very effective against a smaller opponent. Initiate the contact with opponent’s neck quickly and maintain an athletic semi-squat position quickly or your opponent can easily slip away from you, especially when you are trying to lift him off the ground. Place your hip under his hip or you can get countered easily. Also known as great inner reap, this throw is an easy way to take your opponent down and control him on the ground. The technique looks difficult at the first sight, but it is very effective if your opponent is taller. Perform a side step towards your opponent quickly and place your right leg behind his left leg, pulling him down. You can replace reaping motion with hooking motion, but be aware you can easily get countered via ashi barai if an opponent anticipates you. Once you’ve mastered these Judo basics, be sure to keep training. Remember that practice makes perfect. Even Yasuhiro Yamashita was a beginner once, but his persistence led him to the record of 203 contentious victories. Perhaps one day, with consistent and dedicated training, you too can become a martial arts champion! Aspire to become a versatile martial artist? There’s no better way to do so than to broaden your practice in various martial arts styles. At BookMartialArts.com, you’ll be able to easily find and book martial arts training camps located all over the globe! Robert is a writer and a martial artist. He has a competitive background in karate, Judo as well as MMA. He has also had the privilege of being exposed to a number of other martial arts disciplines. Writing is something that Robert has been pursuing for the past couple of years.